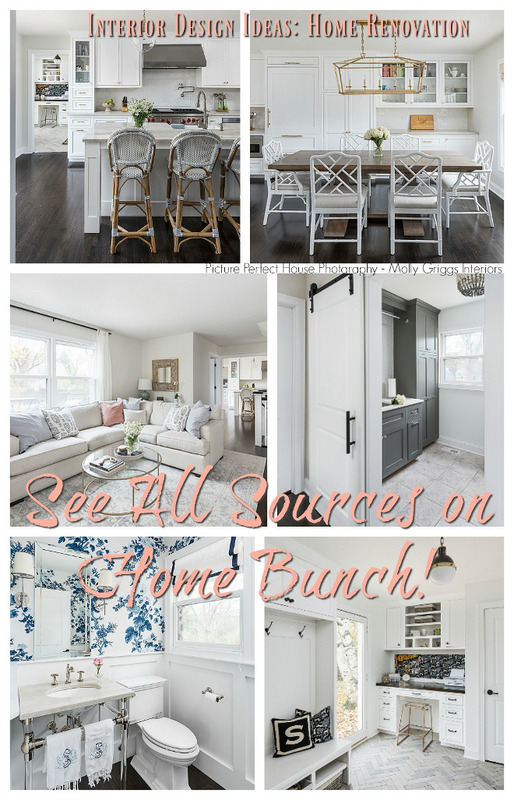 If you love colorful interiors, this modern farmhouse cottage might not be your first choice, but if you are a big fan of organic, neutral and calming interiors with plenty of custom millwork (think shiplap!!! 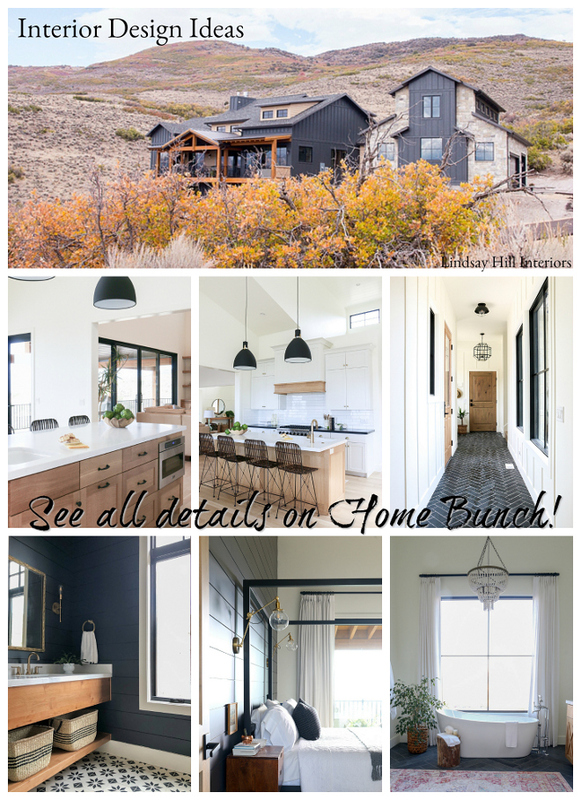 ), this home should make your day! 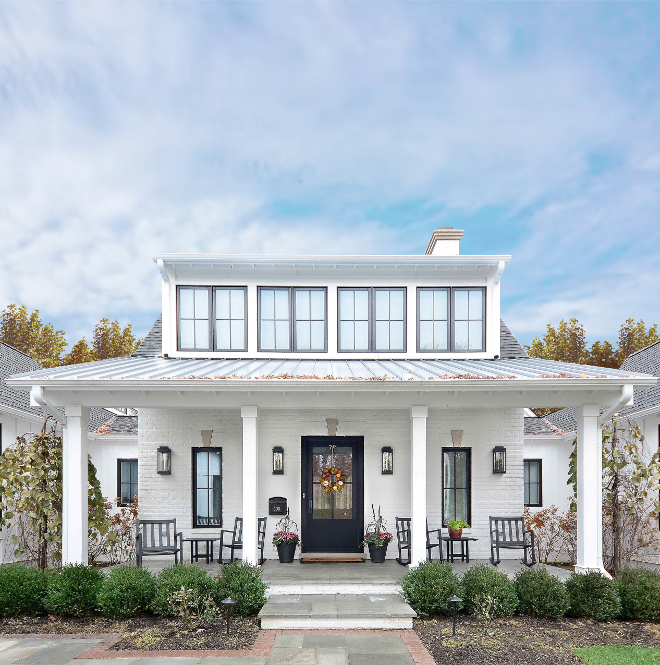 With architecture and interiors by Edward Deegan Architects, this house is an empty-nester modern farmhouse/cottage with the master suite on the first floor. 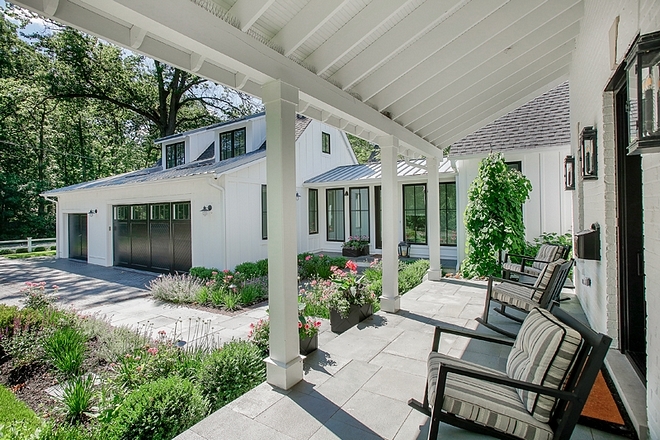 It was a custom-designed home for the current homeowners and it’s located in Lake Bluff, IL. I hope you have a good time reading this post and that you can take this weekend to relax and recharge your energy. 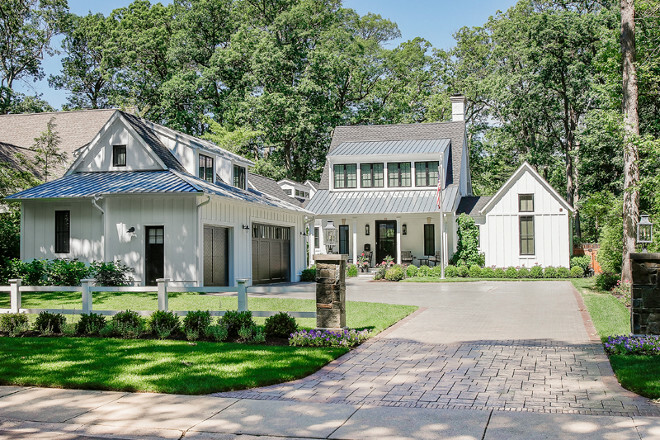 This farmhouse cottage has everything that everyone is loving these days; black windows, standing seam metal roof and painted brick exterior. Front Door: Paint color is custom but similar to Sherwin Williams Tricorn Black. Rocking Chairs: Provided by homeowner – Others:here, here, here, here & here. 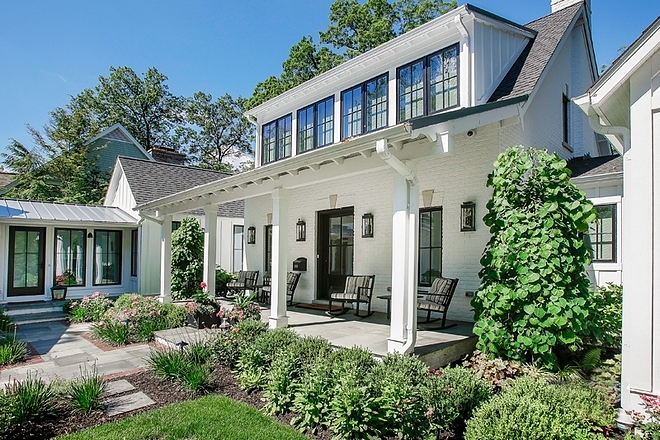 Siding is a combination of painted brick and board & batten. Color is custom. 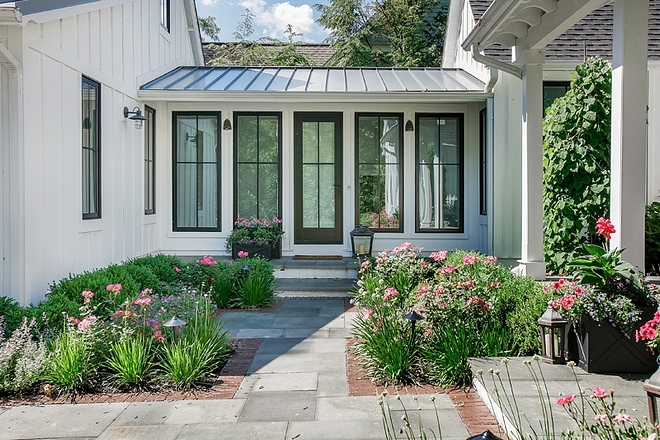 The front porch flooring is Bluestone – similar here & here. 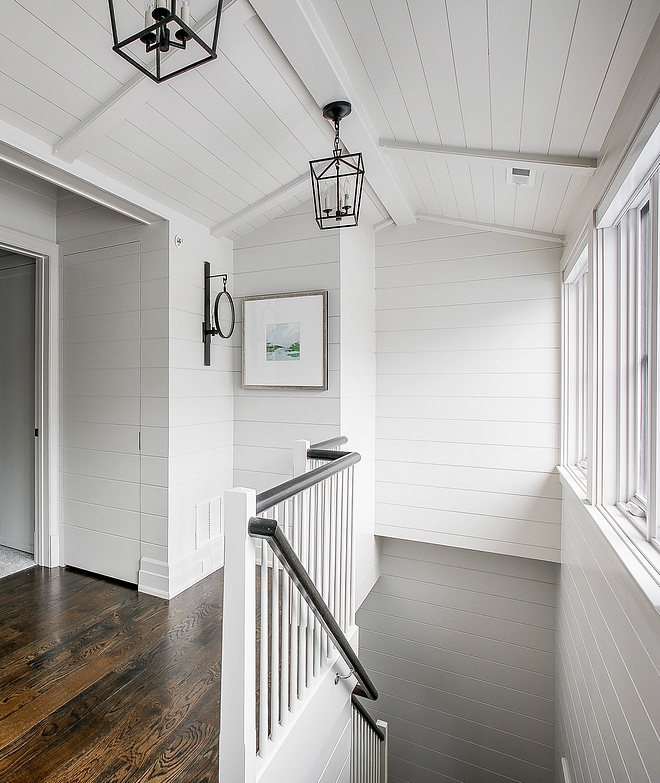 You are welcomed by beautiful interiors – with plenty of shiplap – as soon you open the black front door. Lighting: Solaria Etoile Chandelier – similar here. 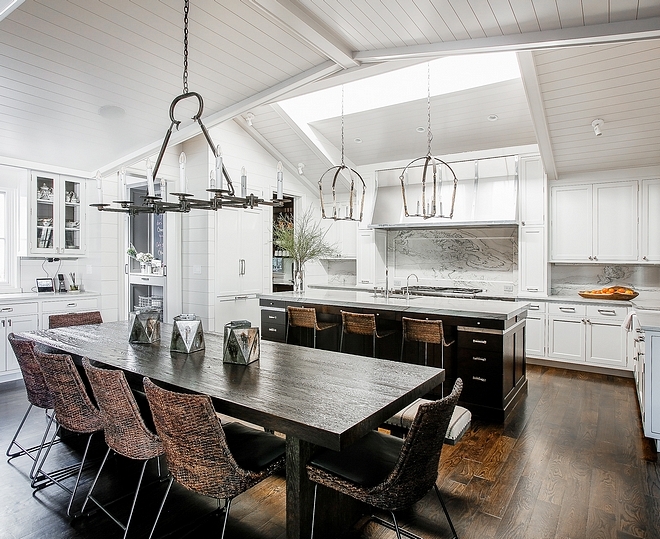 A skylight brings lots of natural light into this modern kitchen and dining area. 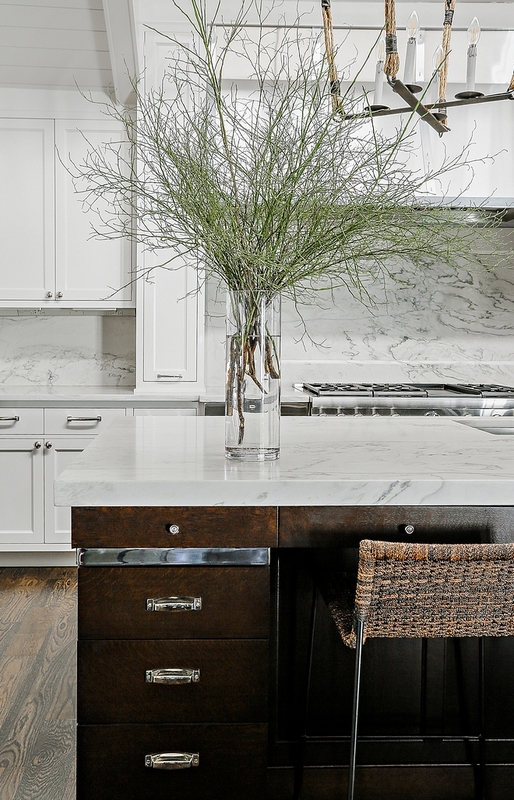 Counters are Calacatta Quartzite, Honed. 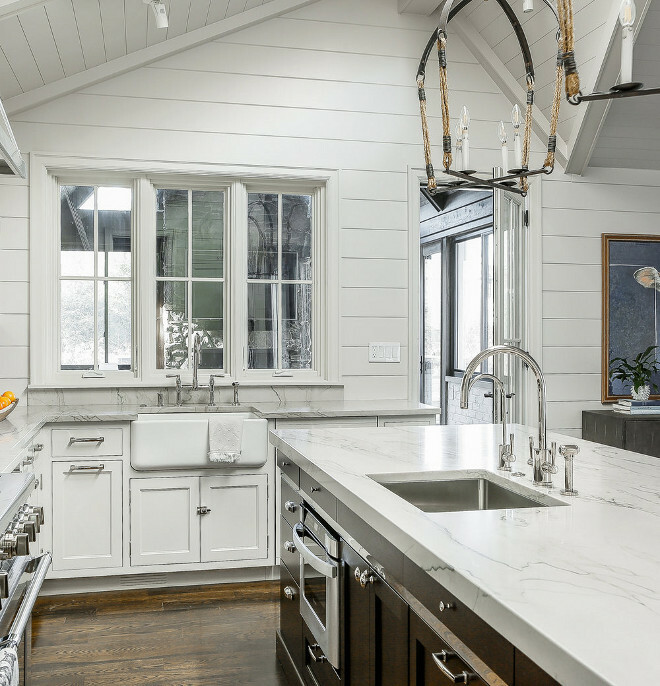 “Calacatta Quartzite” is a natural stone from Brazil. This natural quartzite stone resemble the Italian Calacatta marbles in appearance, but they are more durable. Counterstools: Palecek – similar here, here & here – Other Counterstools: here, here, here, here, here, here & here. The kitchen island features a metal strip just below the drawers. I love this detail! Kitchen Island Sink: Kohler (huge sale!). Kitchen Sink (by window): Rohl. 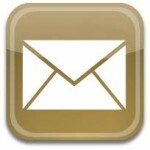 Hardware: Waterstreet Brass – very similar: Island Knobs, Island Pulls, Perimeter Knobs, Perimeter Pulls. 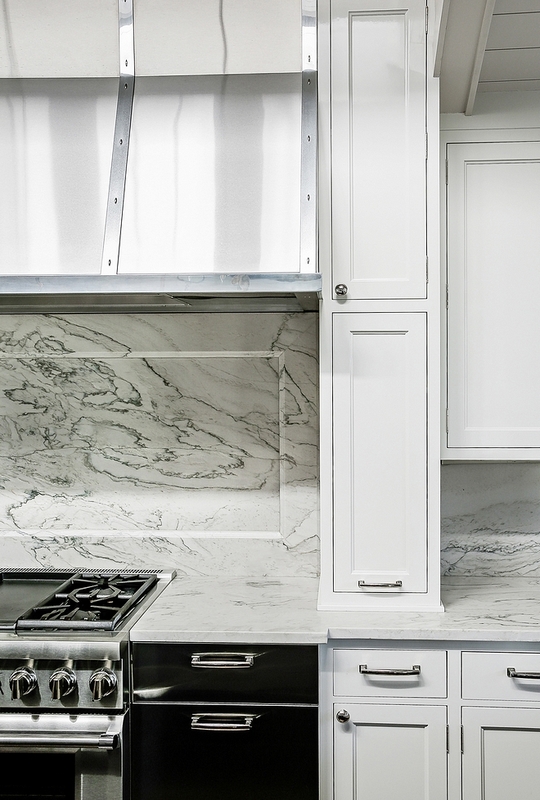 Backsplash: Calacatta Quartzite Honed slab – notice the framed detail above the range. This is a relatively easy idea to replicate and there’s no grout to clean! 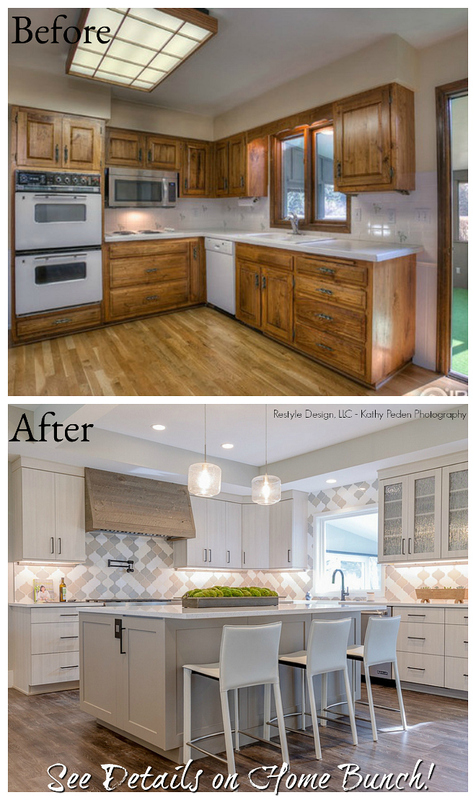 Kitchen Hood: Stainless Steel and Custom Design – similar here & here. 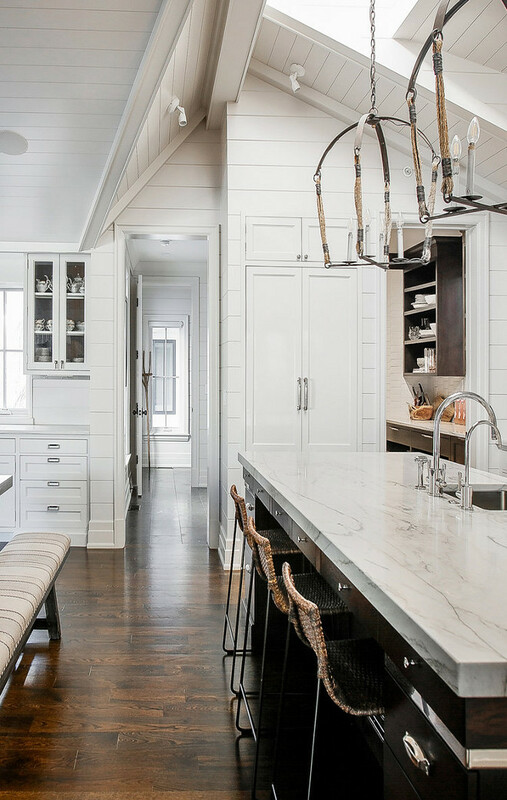 This home features shiplap walls throughout. Paint color is custom. Notice the walk-in pantry on the right. 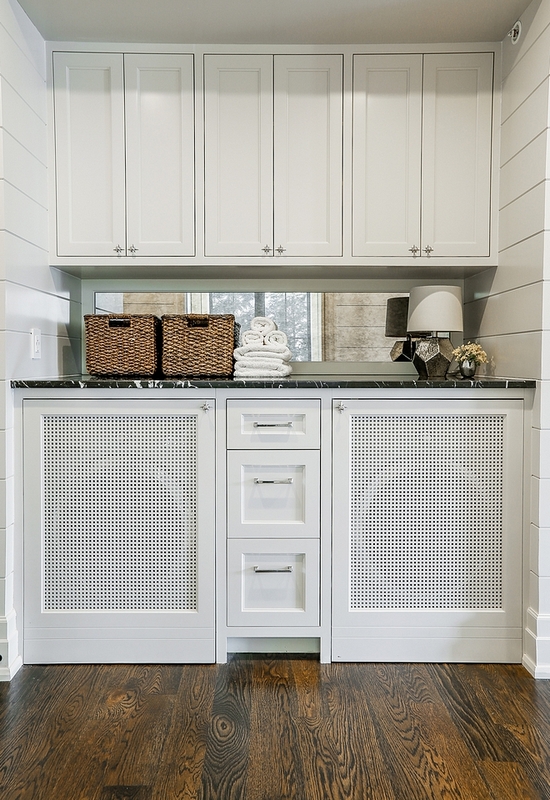 The pantry features an accent wall with elongated picket tile and deep drawers for easy access. Countertop is quartzite. 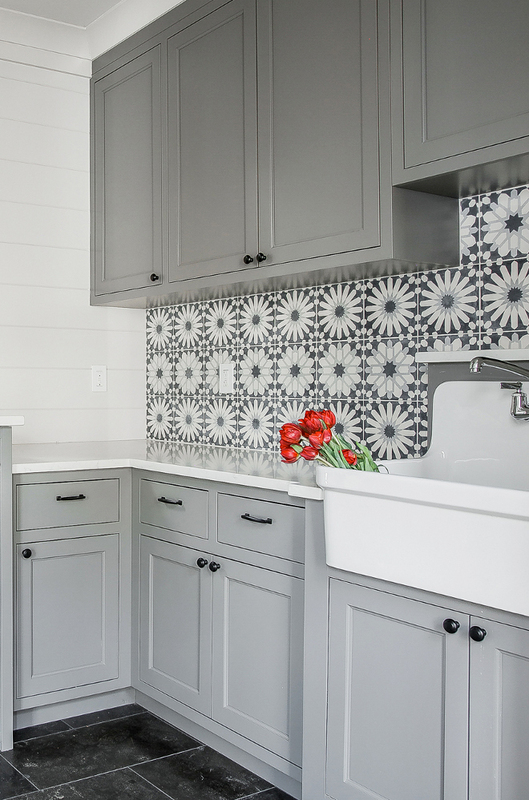 Accent Tile: Ann Sacks – similar here, here & here. 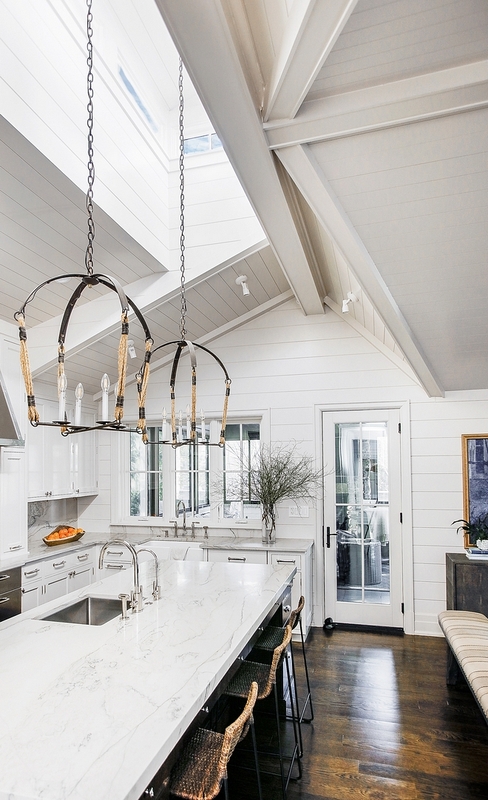 Kitchen Lighting: Laura Lee Designs Lighting – Other Rustic Lighting: here, here, here, here, here & here (chandelier). An open layout is perfect for any home, especially for an empty-nester. Dining Table: RH – similar here & here. 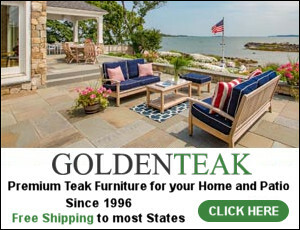 Dining Chairs: Palecek – similar here. 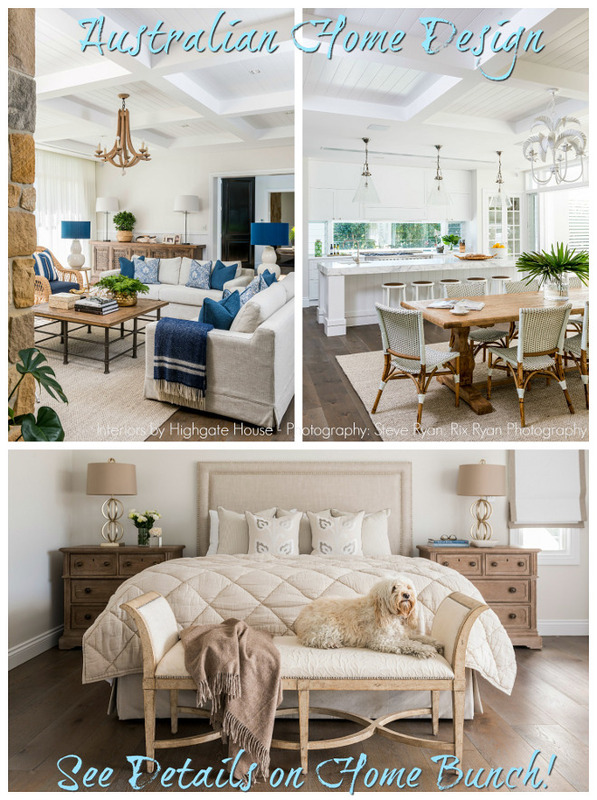 Chandelier is custom – similar here & here. 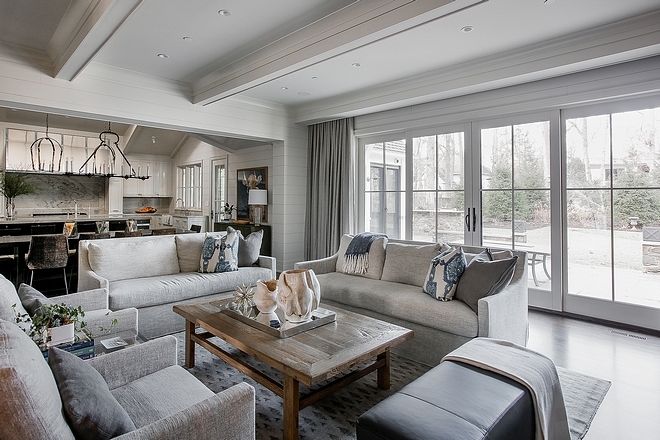 The dining area opens to a neutral yet warm living room. 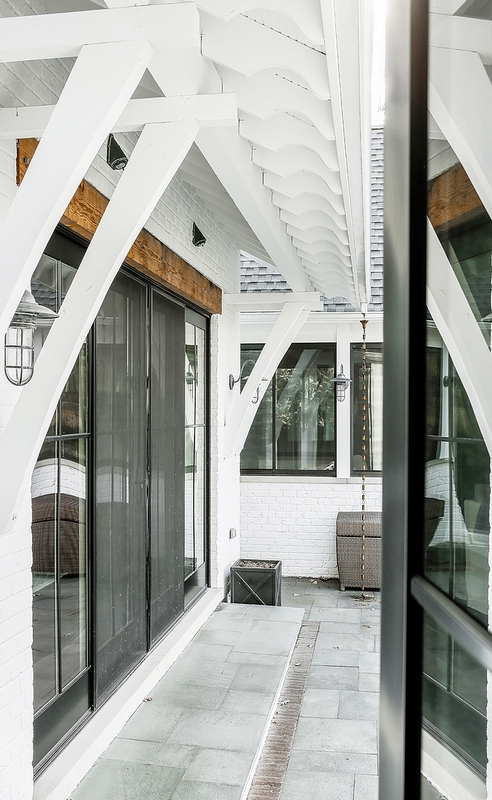 Notice the large patio doors leading to the backyard. Coffee Table: here (similar)- Other Beautiful Coffee Tables: here, here, here, here, here & here. 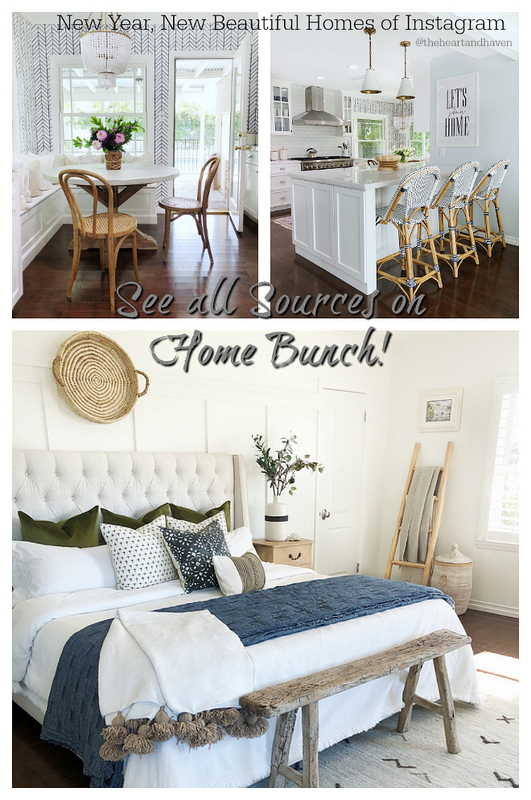 Sofas: here, here & here. Blue & White Pillows: here, here, here & here. Beautiful Rugs: here, here, here, here, here, here, here & here. 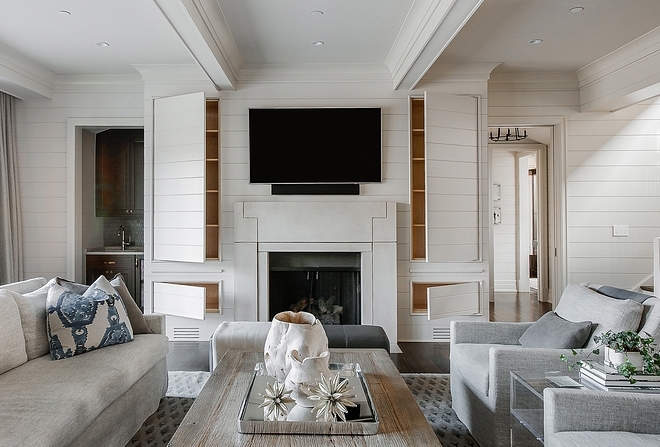 Living room/Fireplace Wall: The cabinets are made to look like a wall with paneling. We have the doors on touch latches so that that we don’t have any hardware. 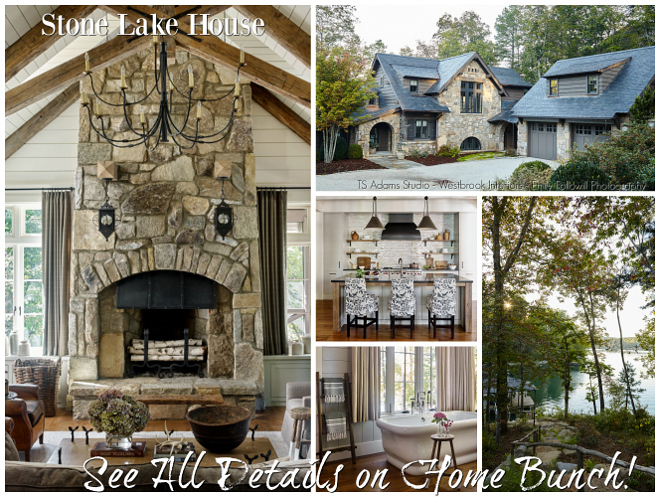 Everything ties in with the beams and trim work.” – Katy E. Hardison. The inside of the cabinet is clear maple finish. 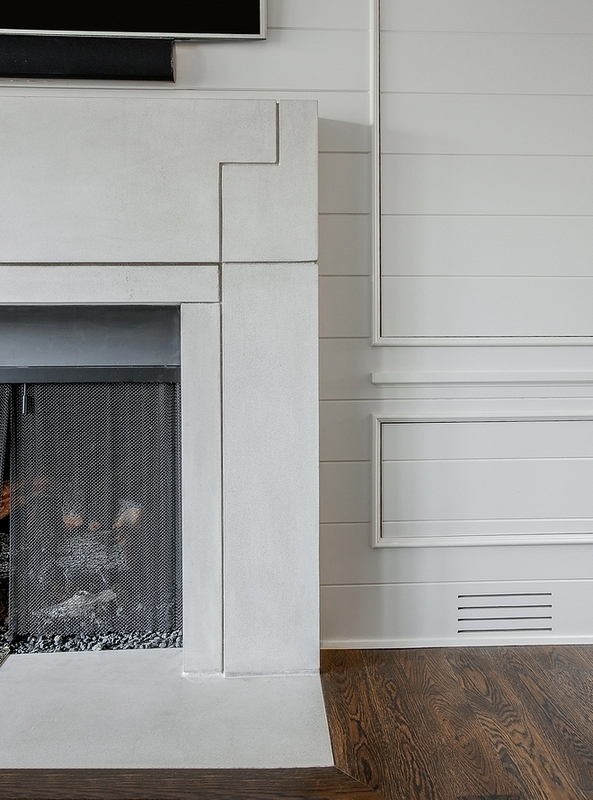 Fireplace features custom Limestone Surround. 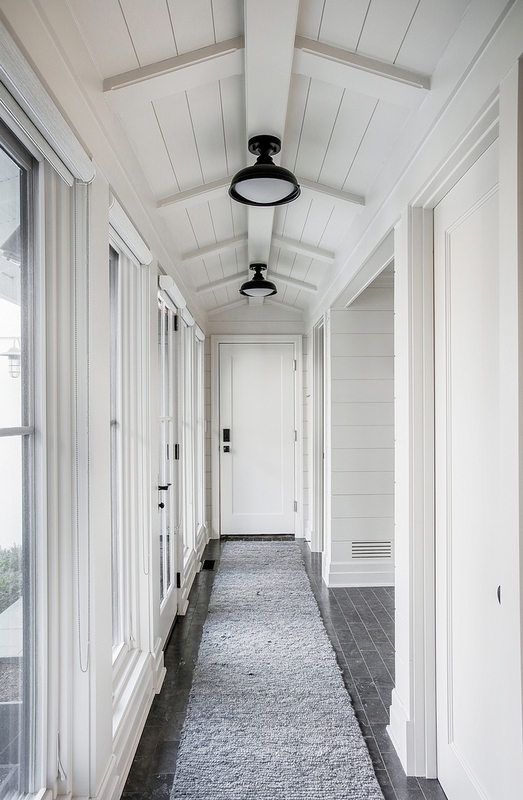 This breezeway connects the house to the garage and features a small mudroom. Runner: Custom – Similar: Here. 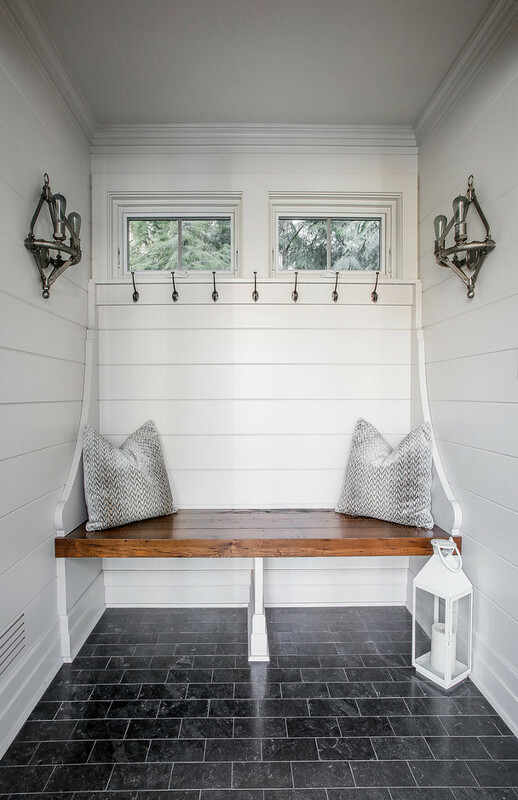 Tucked into a nook, the mudroom bench features a custom chunky Knotty Pine bench and beautiful millwork. Sconces: Ralph Lauren Archer Wall Lamp – discontinued – Other Industrial Sconces: here, here, here, here, here & here. This breezeway also leads to the main laundry room. 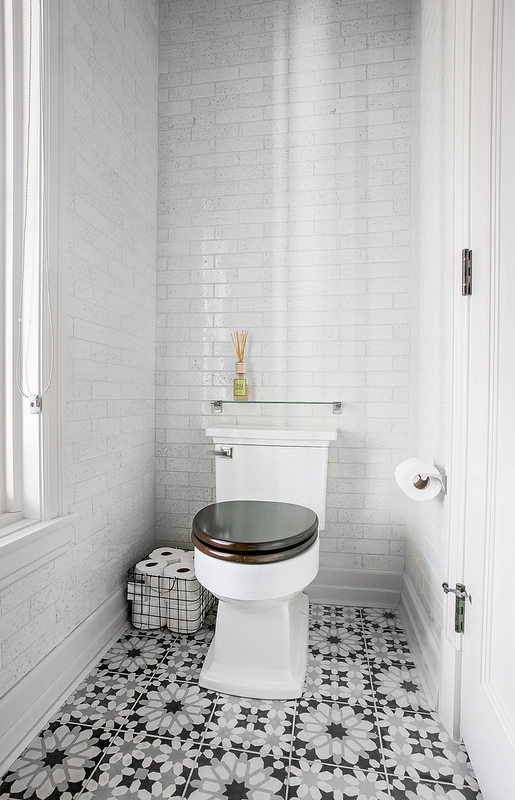 Floor Tile: Ann Sacks in brick pattern – similar here & here. 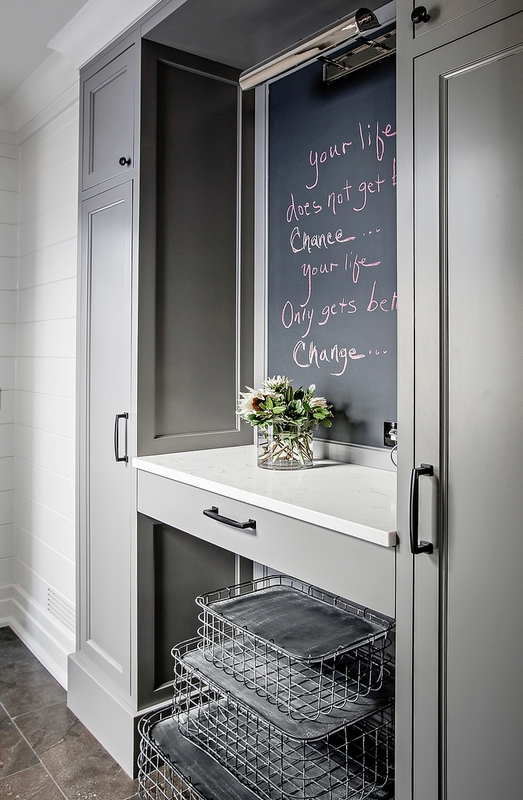 This space features a drop-zone with floating desk flanked by closed cabinets. Similar Wire Baskets: Here (without lid). The main floor laundry room is really pretty. 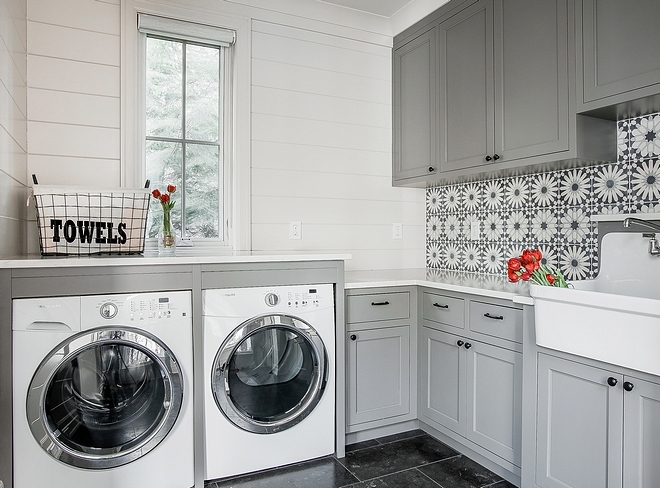 The walls are clad in shiplap and cement tile and the washer and dryer are framed. 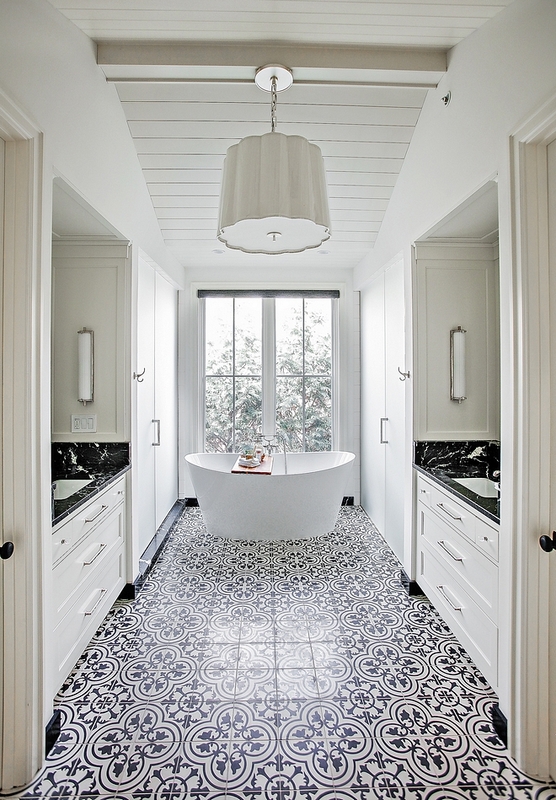 Cement Tile: Ann Sacks – similar here & here. 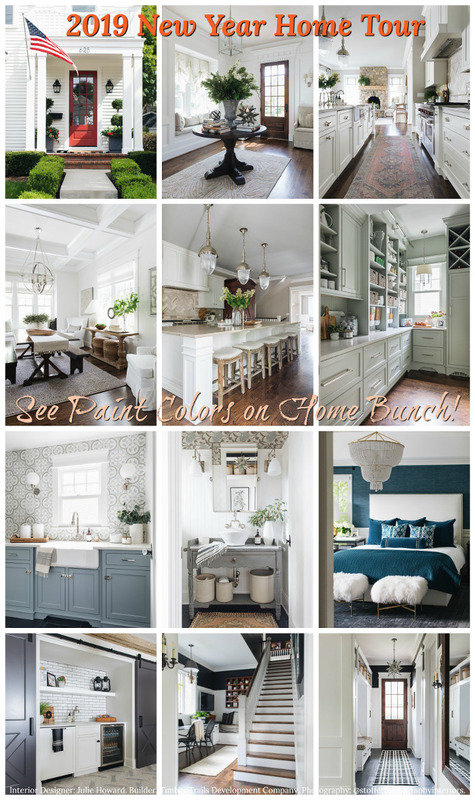 Paint color is custom but similar to Benjamin Moore Storm. 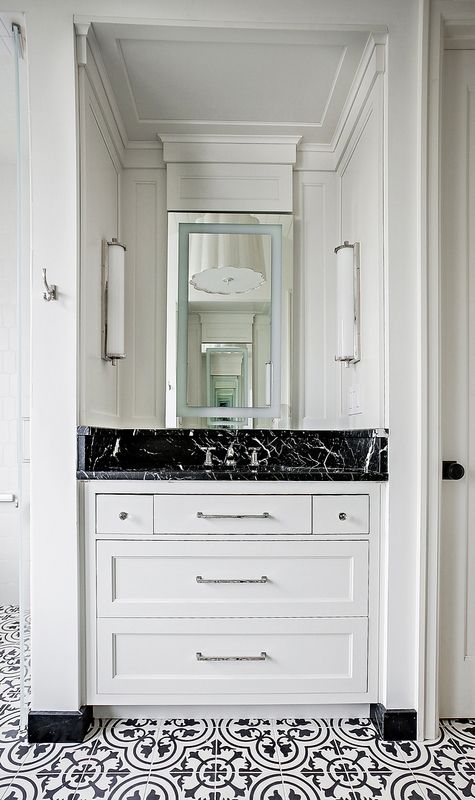 This powder room is full of great ideas and this has to be the most popular wall-mounted sinks out there! Wall Tile: Ann Sacks – similar here. 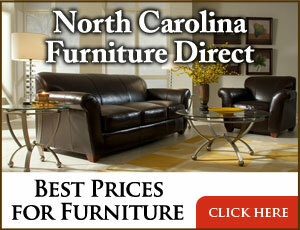 Flooring: 5″ Hardwood Floors Red Oak – medium stained hardwood flooring it is as classic choice. 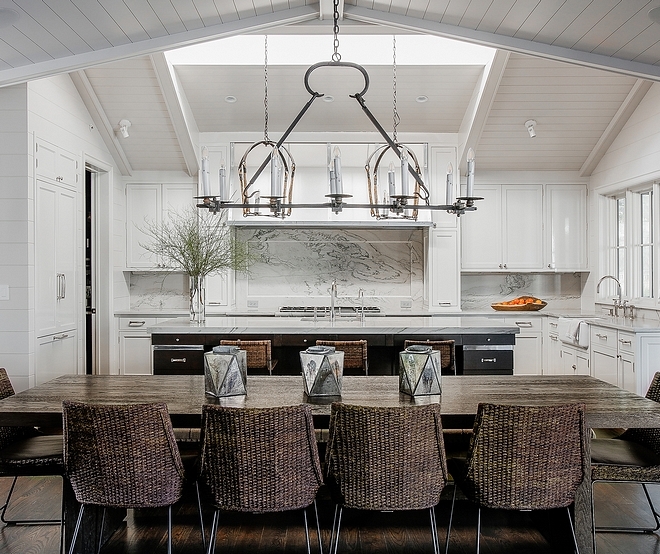 Beautiful Flush-mount Lighting: here, here, here, here, here & here. 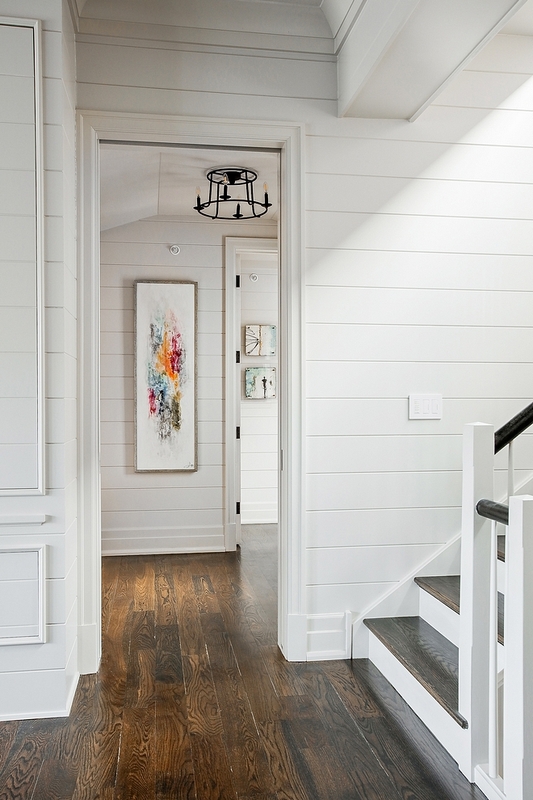 The shiplap paint color is custom but similar to Benjamin Moore Simply White. 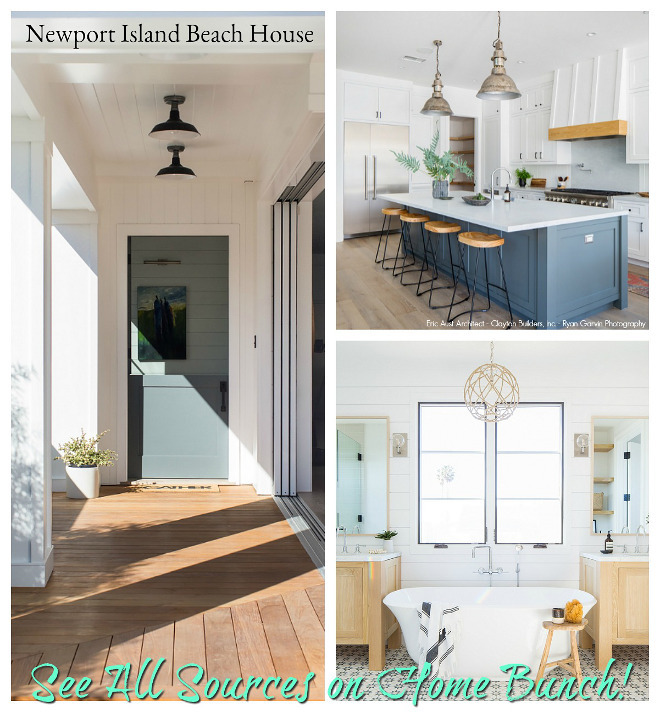 Pendants: Visual Comfort – similar here (affordable option). The landing area features a small nook with a beautiful secretary desk. Beautiful Secretary Desks: here, here, here & here. 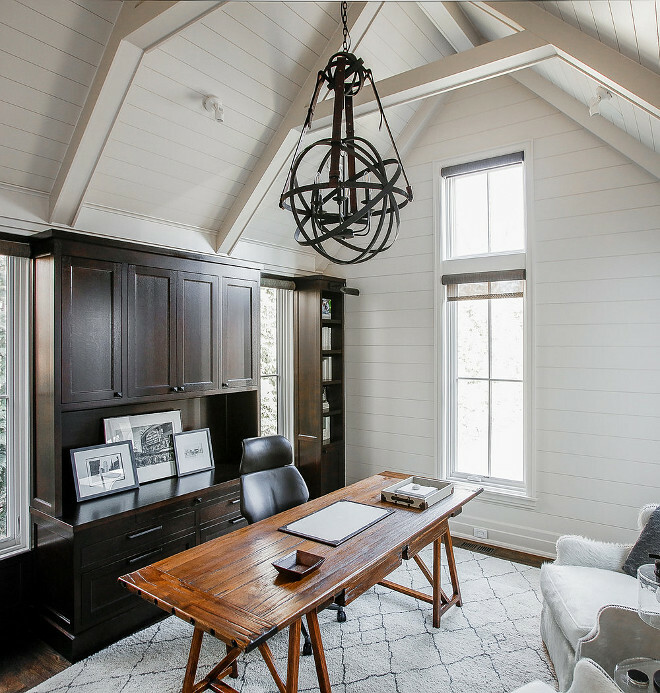 This study, also featuring vaulted ceiling and shiplap walls, feels masculine and serene at the same time. 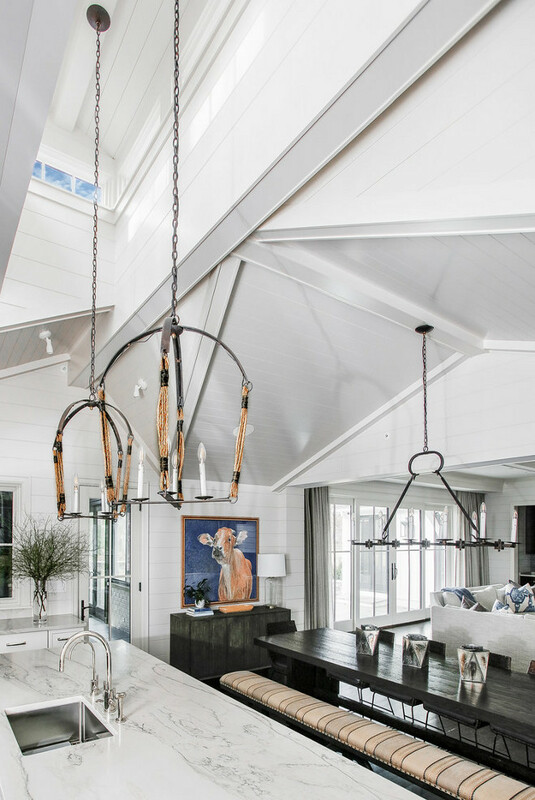 Lighting: Double Le Monde With Leather Chandelier by Solaria Lighting – similar here & here. Similar Desk: here, here & here (distressed). Window covering: Scalamandre or solar shades. Rug: Serena & Lily – similar here. 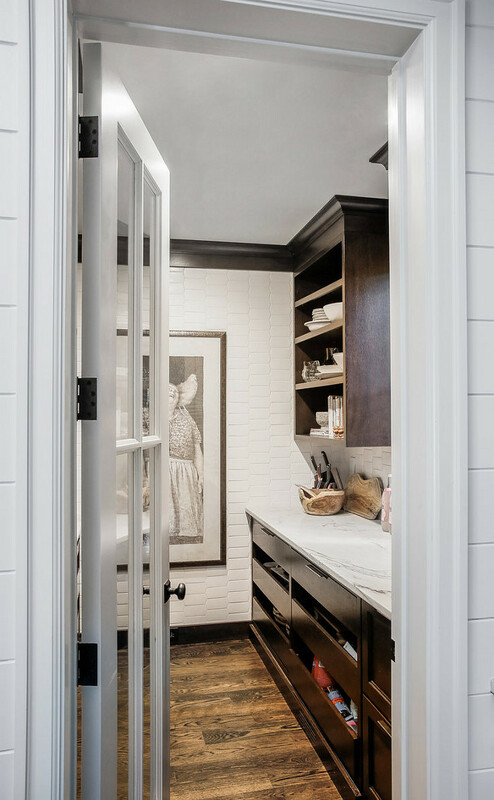 This gorgeous modern farmhouse-inspired master bathroom features a layout that should be kept in mind. This is practical without compromising on privacy. 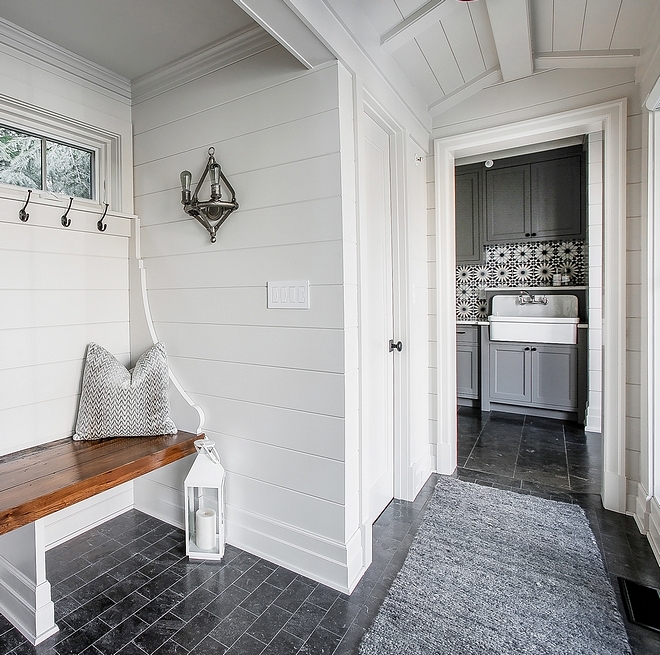 Also notice the black and white color scheme and the shiplap and beam ceiling. 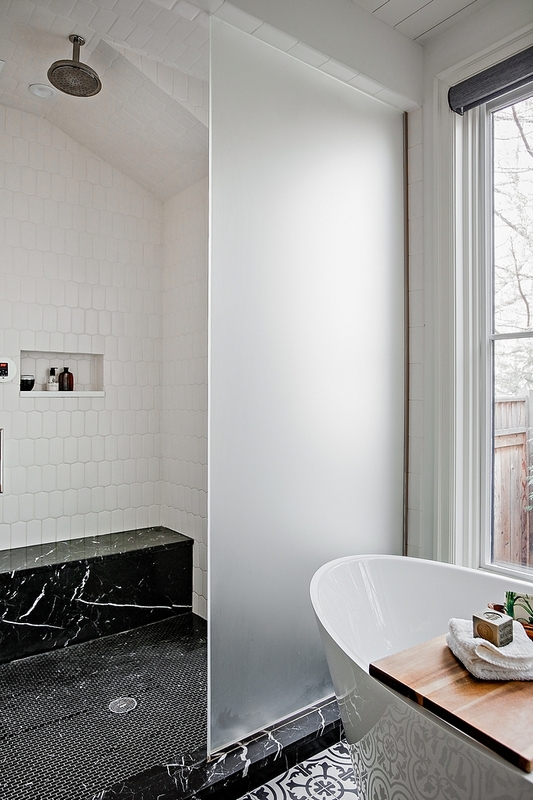 The shower features frosted glass doors and Nero Marquina marble accents. 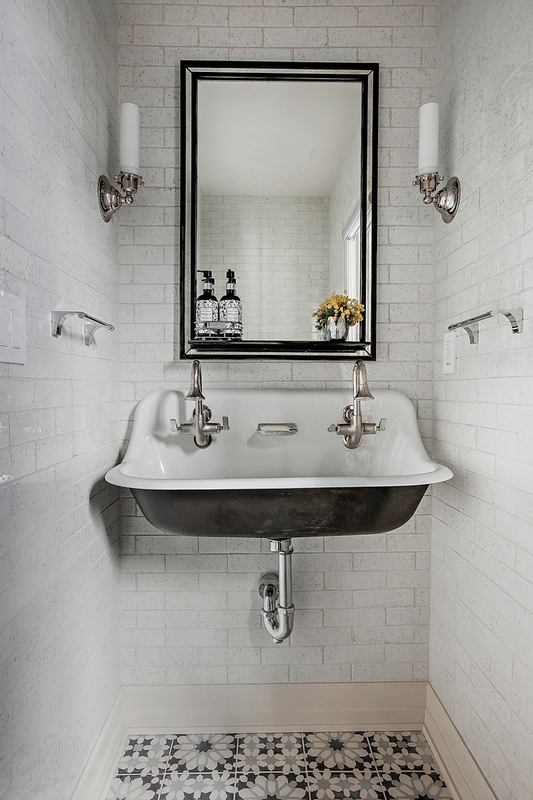 Shower Tile: Ann Sacks – similar here. 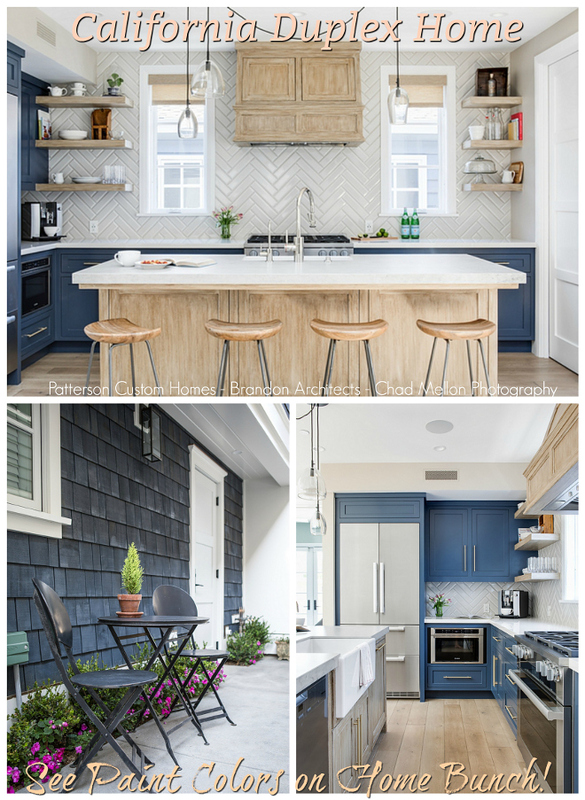 Floor Tile: Ann Sacks – similar here & here. The bathtub is Bain Ultra. Notice that frosted glass doors also conceals the water closet on the right. 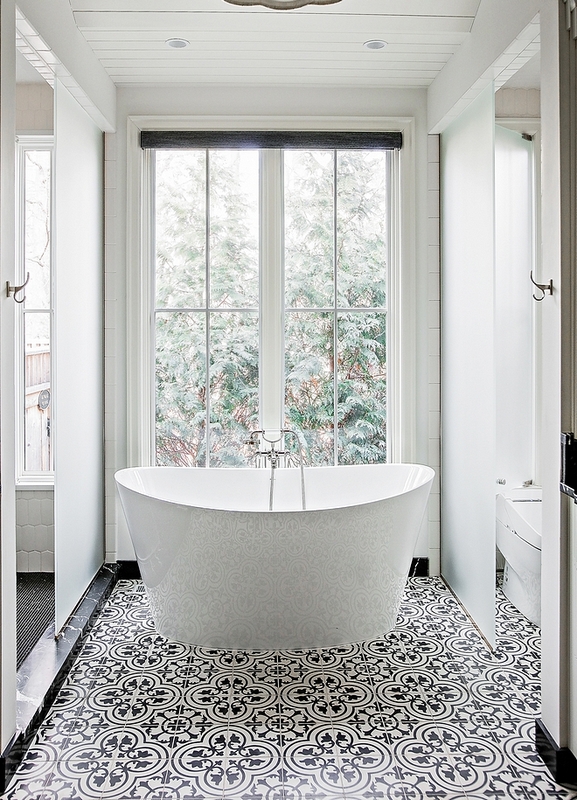 Beautiful Freestanding Tub: here, here, here & here. 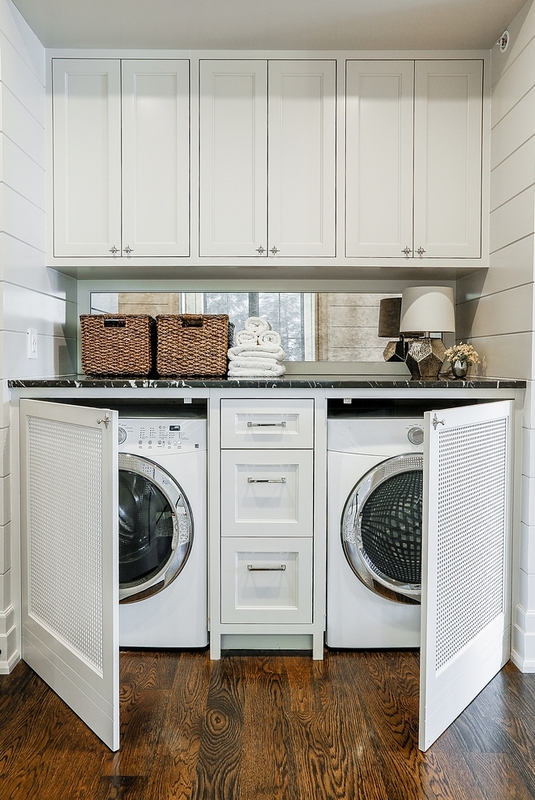 I really hope you guys like this laundry room as much as I do! 🙂 The laundry room is located just before entering the master suite. Right outside of the master bathroom. Impressive architectural can be found everywhere in this house. Notice the rafter ends and corbels. 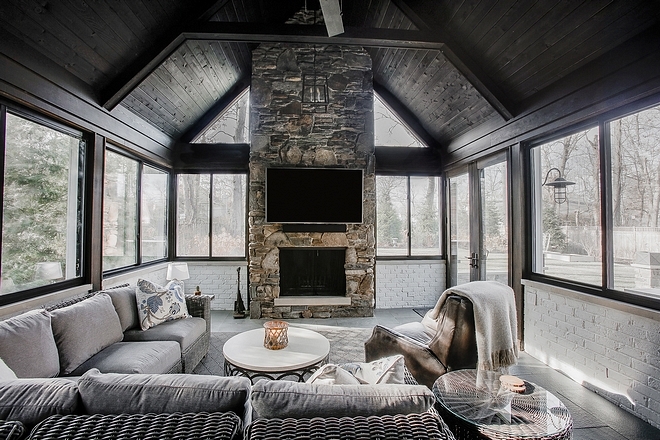 This inviting four seasons room feature some incredible ideas! 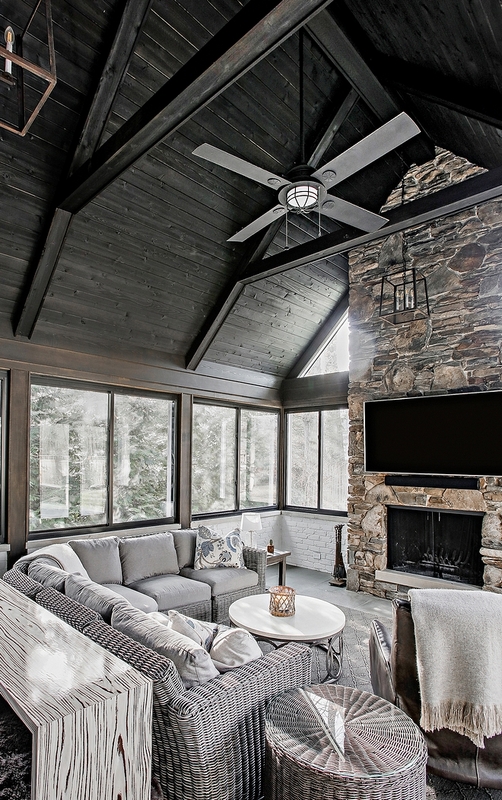 The stone used on the fireplace is Fieldstone. Ceiling is Pine stained in Ebony stain. I love this modern farm house, can you tell me who the designer is . I am very interested in floor plan. Thank you. Please contact the architect for more information on the floor plan.